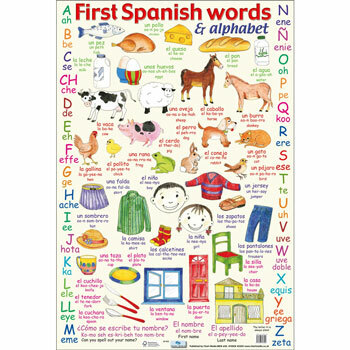 First Spanish Words & Alphabet Poster features the Spanish alphabet, together with some key-vocabulary words in Spanish. Topics include household furniture, food & drink, animals and clothing. Each word is beautifully illustrated and is accompanied by an easy-to-use pronunciation guide. 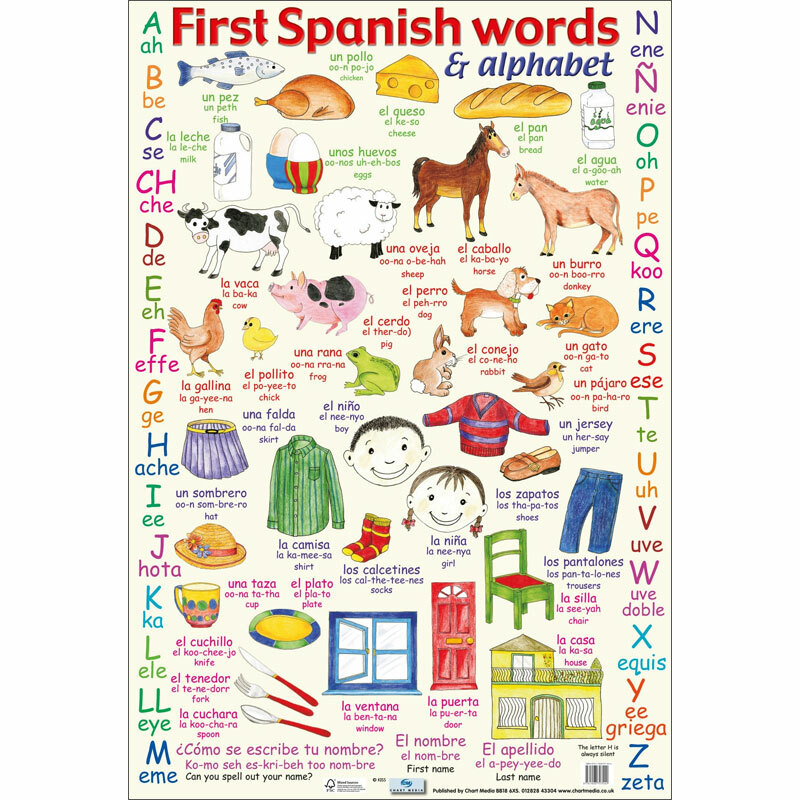 Great for any child learning Spanish. It is published in the UK and uses Castilian (European) Spanish and British English.